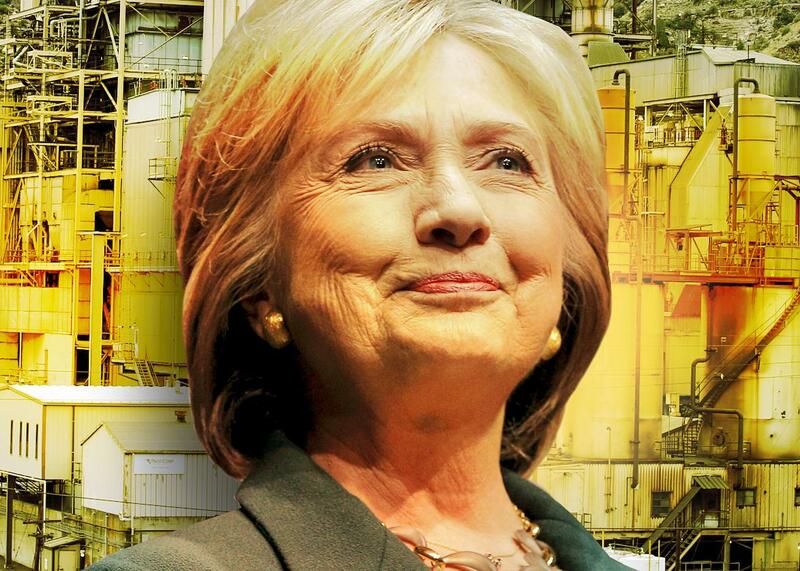 Hillary Clinton’s plan to help coal country with new jobs. While the Republican candidates complain about lost jobs, she proposes a way to make new ones. Photo illustration by Lisa Larson-Walker. Photos by George Frey/Reuters,Brian Snyder/Reuters. This article is published as part of the Climate Desk collaboration. One thing every Republican presidential candidate can agree on is that they hate President Barack Obama’s plan to tackle climate change. Now Hillary Clinton might have a way to remedy one of their biggest concerns. During Tuesday’s GOP primary debate, Kentucky Sen. Rand Paul said that his first action as president would be to repeal the “Clean Power Act.” (It’s actually the Clean Power Plan—it’s a set of Environmental Protection Agency regulations, not its own law.) The centerpiece of Obama’s climate agenda, the new rules aim to reduce greenhouse gas emissions from the power sector by one-third by 2030, largely by requiring states to reduce their dependence on coal-fired power plants. The plan, Paul said, has “devastated my state,” presumably a reference to jobs in the coal sector that could be lost. Paul’s coal-country politician peers agree. Kentucky is one of two dozens states that recently moved to block the Clean Power Plan in court, and Senate Majority Leader Mitch McConnell is at the helm of an effort to block the plan in Congress. So far, their ideas to preserve the coal-country economy have focused on derailing the rules needed limit the gases that cause climate change, rather than retrofitting that economy for a new century powered by clean energy. In fact, neither Paul nor any of his presidential opponents (including Democrats Bernie Sanders and Martin O’Malley) have laid out what they would do as president to smooth the transition for coal communities as the market for our dirtiest form of energy rapidly shrinks. This week Clinton produced her own $30 billion plan, which would use a smattering of tax incentives and grant funding to support public health, education, and entrepreneurial initiatives in coal communities from Appalachia to Wyoming. You can read the full plan here. It follows the lead of a similar but much smaller initiative Obama rolled out last month. Much of it is targeted at rebuilding infrastructure—highways, bridges, railroads, broadband networks. The Clinton campaign says that kind of development would not only create new jobs to replace those lost in the coal industry, but be vital for growing new industries. Paul is definitely right that Big Coal is suffering. Last year there were a record number of coal plant closures nationwide; stock prices at several of the biggest coal companies have dropped dramatically over the past couple of years. But while Republicans like to lay the blame for coal’s decline at the feet of Obama’s EPA, the truth is that stopping the Clean Power Plan—which can’t be blamed for the current decline, as it hasn’t even legally gone into effect yet—wouldn’t save the industry. Coal is being challenged by rock-bottom natural gas prices, a booming market for renewable energy, and an emerging global consensus that burning tons of old rocks that produce pollution responsible for thousands of deaths each year while warming the climate just isn’t a savvy 21st-century practice. In other words, a plan to restructure coal country’s economy is going to be necessary regardless of what happens to Obama’s climate regulations. Of course, that might require Republican candidates to admit that climate change is, you know, real.